Our services take the problems out of Direct Debit and promote security, compliance and efficiency. We take a bespoke approach to your systems and combine this with excellent customer service to ensure your business runs smoothly. Thanks to our broad customer base, we are able to use the total volume of our transactions to leverage favourable terms with the bank, while our size as a company enables us to react quickly to changes in the market and technology. Banks’ systems are hugely outdated, often not paperless, and operate on such a large scale that improvements to systems and technology are slow to implement. In short, we are able to offer our clients better fees and a far more efficient system. We have the agility, the backing and the credibility to facilitate a great service between your business and the bank. We share many of the same concerns as you. Managing and facilitating Direct Debits requires us to meet standards, both ethical and legal, and we take our responsibilities seriously. Our systems and infrastructure prioritise security at every level, both digital and physical. Our systems ensure segregation of SUNs and funds, and we operate secured, ring-fenced client accounts. All data is stored on servers only in UK, with backup systems in a different location to prevent any kind of failure, breach or damage affecting your Direct Debit collections. A key feature of our solution is resilient high availability, so should a service fail, an alternate service instance will take over. Our infrastructure will scale automatically (within bounds) to deal with peaks in customer demand, and our service uptime SLA is minimum 99.99%. No matter what your business, or which financial software you use, we aim to provide you with a payment platform featuring excellent functionality and ease of use, making it as simple as possible for your clients or customers to pay you. No two businesses are exactly alike, and we pride ourselves in tailoring our systems to work in the best possible way for your company. 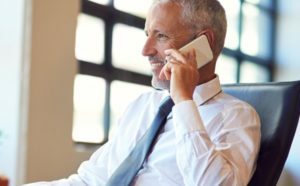 Unlike our competitors, we encourage personal contact and enjoy talking to our clients on the phone so you get the most out of our customer service. Not many other payment gateway or Direct Debit companies have been around as long as we have. Operating in this business for the last two decades has allowed us to build up a huge amount of credibility, experience, expertise and goodwill. As a corporate client, chances are you’ve got your own Service User Number (SUN), or you know you can get one. However, an application could take months and entail a huge amount of paperwork and red tape, and when it finally does come through, you still have to deal with outdated banking systems and perhaps a disappointing level of customer service. There is an alternative. Direct Debit is a non-core activity for banks, but for us it’s the lifeblood of our business.  As London & Zurich are a Bacs Approved Bureau, even if you have your own SUN, we have the powers to process transactions on your behalf, taking the strain out of your relationship with bank and removing the need for you to invest in extra software and training. The funds are still sent directly to your own bank account, and you still retain your own bank sponsorship as before. The difference is that our bespoke system will integrate with your financial software platform so that your file is submitted to Bacs to debit your client’s account as arranged, and your invoicing and collections are efficiently automated. You receive reports on collections and any problems or failures are flagged up without delay, enabling you to follow up quickly. Additionally, in the unfortunate event of damage or a failure in your infrastructure, our system will still enable you to continue to collect Direct Debit payments and maintain your cash flow. You might experience a fire or power cut, your premises or network may be compromised, or your Bacs Smartcard may be lost or locked. Our off-site and fully backed-up systems will still process your collections, keeping you afloat and avoiding issues with customers, suppliers and staff. We have the agility, the backing and the buying power to provide you with a prestige platform for processing your Direct Debit collections, backed up by an unrivalled personal approach to customer service. If you do not yet have a SUN, then we would be able to arrange one for your account through our sponsor bank and handle your Direct Debits on a Managed basis. Interested to learn more about our Managed Direct Debit practice? Click here.